Pioneers in the industry, we offer fast setting repair mortars, strength anchoring cement grouts, crack filling mortar, vertical and overhead repair mortars, fast setting floor screeds and concrete re surfacing mortars from India. Our company is tremendously engaged in offering an inclusive range of Fast Setting Repair Mortars. 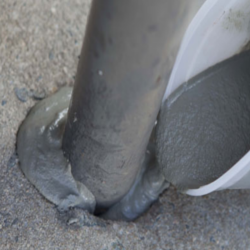 It is a proprietary blend of specialty materials and minerals extremely versatile, cementitious, rapid setting, semi leveling structural repair mortar for repair up to 20mm depth. The offered range is made from under the direction of experts & modular technology keeping in mind the market norms. Our honored customers can take this product from us at affordable rates. 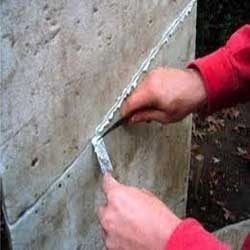 Backed by the team of extremely qualified professionals, we offer a wide range of Strength Anchoring Cement Grouts to the clients. It is used for anchoring/grouting purposes. The expanding characteristic forms a tight grip on both fixture and the surrounding concrete. Our esteemed customers can take this range from us at market leading rates and within given span of time. We pack these products in sage packaging to ensure their perfect delivery. With the usage of advanced technology, we offer a broad assortment of Crack Filling Mortar (Quick Setting) to the clients. 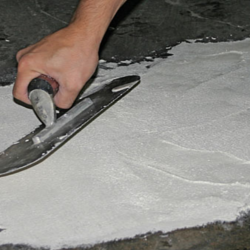 The offered mortar is a proprietary blend of specialty materials and minerals with non shrink properties used for crack filling up to 15mm wide cracks in concrete, masonry and plaster surfaces. The product offered by us is processed at our working place by using best grade ingredients & leading edge technology. Our customers can take this product from us at market leading rates. We are reckoned to be the most impressive company in this line of work of offer of Vertical and Overhead Repair Mortars. It can be applied in temperature ranges from 25-40°C. It acts as outstanding water repellant on concrete & clay tiles. This is made under the management of competent experts by consuming the finest grade component according to the market norms. The offered range is provided with lots of stipulations according to the customer’s needs. We provide this product in different options of packaging to choose & available at industry leading rates. Fast Setting Floor Screeds (Techno Screed) are the specially formulated speciality materials and minerals based non shrink, high early strength premixed floor screed with excellent flow properties. The compound contains a unique blend of natural mineral based binders and graded sand. 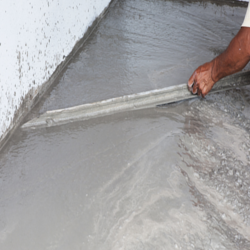 The powder, when mixed with water, produces a mobile, self smoothing and easy level hog screed which rapidly hardens to provide a strong bonding, high quality, durable cover to concrete. Concrete Re Surfacing Mortars (Quick Setting) Eco Patch - CR is a proprietary blend of specialty materials and minerals used for repair and rehabilitation / re-surfacing of horizontal concrete surfaces. 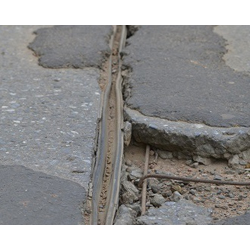 It has been specifically formulated to produce superior bond strength coupled with quick setting and high early strength gain that allows the repaired surfaces to be used or opened to traffic within a short period of time. 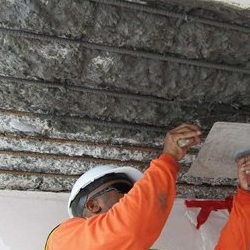 Due to its non-shrink and superior bonding tendency with host concrete Eco patch-CR offers a highly durable solution to the problem of concrete deterioration. 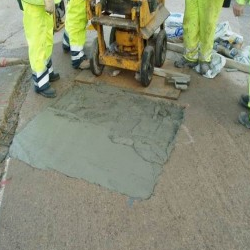 Rapid Setting Repair Mortar with Premixed Aggregates (ECOPATCH). It is a proprietary Mend of specialty materials and minerals used for low cost structural repair of depth greater than 20mm. Packed with premixed aggregates, requires only addition of water at site. Highly cost effective for large volume repairs. A fire retardant Anti Corrosive Coatings (ECO Anti Corr) uniquely formulated based on geo polymer based proprietary technology to prevent the corrosion against severe corrosive mediums Like Chloride, Sulphate, Carbon Dioxide, Acid (>3pH), Alkali, etc by forming an excellent corrosion barrier. 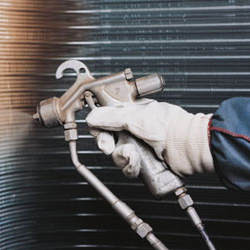 It bonds both Chemically and Mechanically to steel and other surfaces and hence exhibits an excellent bonding strength comparing to conventional anti corrosive coatings and highly durable. It is in premixed powder form when mixed with water, it is activated and forms a Brush able slurry which can be coated over variety of substrates like steel, concrete, etc. It sets quickly and do not require any priming or curing. Looking for Specialty Construction and Repair Products ?